In the news, The EMV Migration Forum launches a new online resource and plans a one-day workshop for VARs and other solutions providers. Also, card issuers are signing on to work with Apple Pay. In other news, OTAs will begin listing Wi-Fi speeds along with other information travelers can consider before they book, and the Payment Card Industry Security Standards Council (PCI SSC) has issued updated guidance on card-skimming prevention. The Smart Card Alliance’s EMV Connection has launched the EMV Migration Forum Knowledge Center. This online resource library includes papers, links, industry best practices and other resources related to U.S. EMV migration. Materials on topics including implementation and technology are organized in an interactive spreadsheet. Also, the EMV Migration Forum is holding a one-day training workshop for VARs, ISVs, and independent service organizations (ISOs). 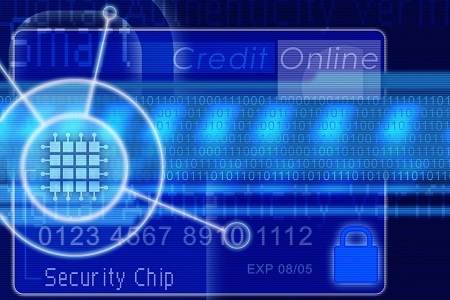 The workshop will provide a comprehensive review of EMV chip payments and include focused sessions on the development process and implementation best practices for testing and certification of EMV payment applications. The event is scheduled at the Hyatt Lodge on the McDonald’s Campus at Hamburger University, Oak Brook, IL . Online Travel Agencies (OTAs) are beginning to display Hotel WiFi Test on their websites, which measures Internet speed and quality. Guests can factor this information into booking decisions. According to a Travel Daily Media article, this content was only available via the HotelWiFiTest.com website, but it will now appear on booking sites with other hotel information. The PCI SSC updated guidance for card-skimming prevention. Security best practices include identifying physical and logical risks to skimming, preventing or deterring attacks against terminals and infrastructure, and identifying compromised terminals and making notifications as soon as possible. PracticalEcommerce makes four predictions for the 2014 holiday shopping season: mobile commerce will account for 33 percent of U.S. online holiday sales; 70 percent of U.S. ecommerce shipments during this time period will be free of charge; brick-and-click stores will encourage in-store pickup; and more retailers will use video to communicate online.